Over 100 of such vases were commissioned for a special event commemorating the music of George Gershwin at the Metropolitan Opera Center in New York City. 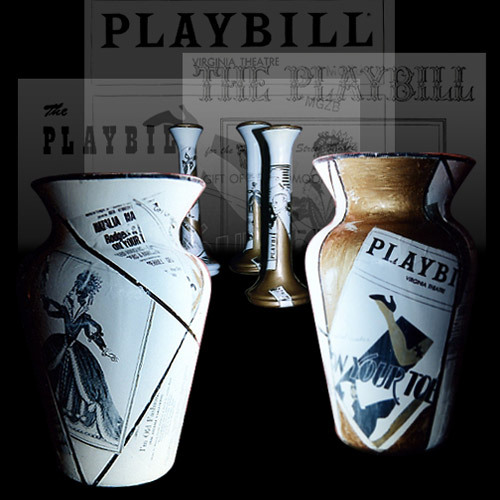 In creating the design for these vases, Giugni sought out the artwork of the original playbills and music scores. She then used these images as collage elements to revise the spirit of the era.